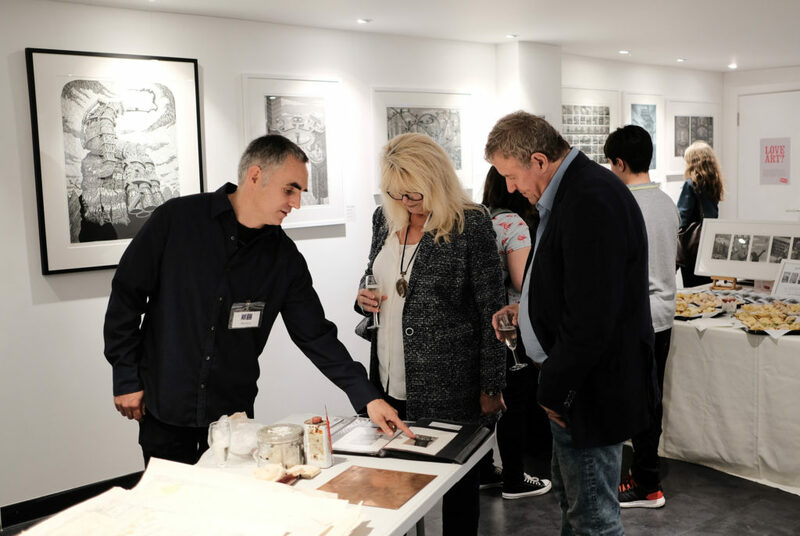 Join us for another of our hugely popular ‘meet the artist’ events this autumn, this time with master of etching and mezzotint printmaking Martin Langford. Martin, whose solo exhibition, ‘This is Us’, is in our Ealing gallery until October 14, will be hosting an informal afternoon on Saturday 13 October giving fans and printmaking enthusiasts the chance to quiz him on his techniques and inspirations. See the intricate draughtsmanship behind his breathtakingly detailed etchings and the copper plates used to create the finished images, while Martin talks about the impulses behind his darkly funny and thought-provoking world view. No need to book – just pop the date in your diary and drop by on the day. Meet the Printmaker – Martin Langford, For Arts Sake, Saturday 13 October, 12-3pm, 45 Bond Street, Ealing, W5 5AS, [email protected], 020 8579 6365. *WIN* one of Martin’s newest framed etchings, worth more than £400, here.